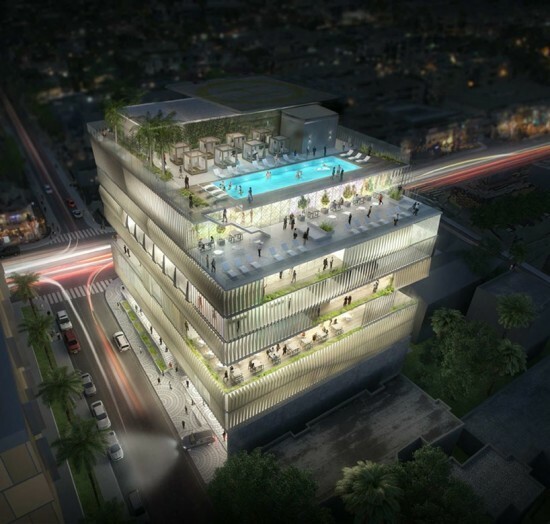 Golden Globe–winning actress Gwyneth Paltrow has unveiled plans for a private club in West Hollywood with a design by California-based Gensler. “The Arts Club,” as it will be known, is touted to cost $3,000 a year, and will occupy a 132,000-square-foot plot. 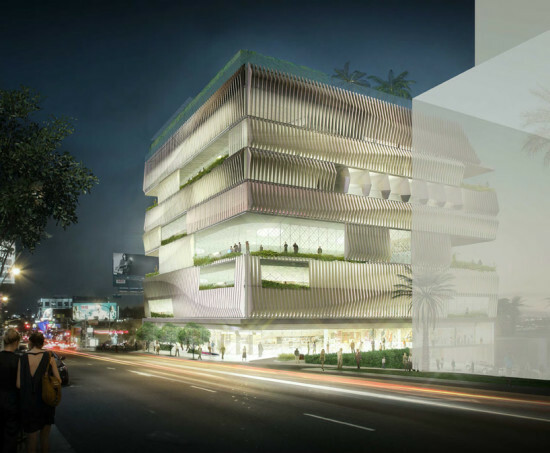 The club includes a wellness center, night club, selection of restaurants, creative office space, gallery, cinema, and 15 guest rooms. 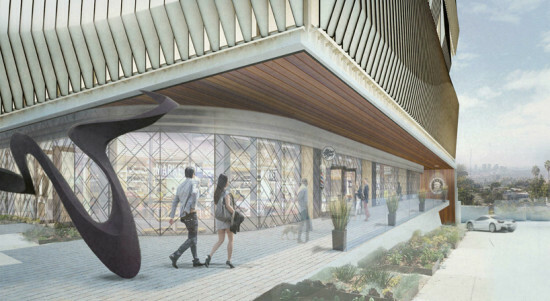 A multi-story underground parking garage will also be located on Hilldale Avenue. The club hopes to emulate the successes of the SohoHouse private club that originated in London in 1995. SohoHouse has since expanded to New York, Chicago, and West Hollywood. According to Curbed LA, the club will take the place of the former Hustler building on the Sunset Strip. That structure, owned by Larry Flynt, had occupied the space for 18 years. The adult magazine will move its offices to Hollywood Boulevard. In a marked transition, Paltrow has reportedly deemed the club a no swearing zone. 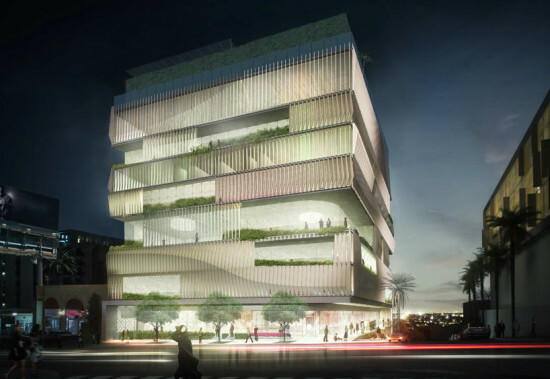 As for Gensler’s design, the nine-story building uses a vertical aluminum fin system that pivots upon axial fittings attached to the building’s facade. 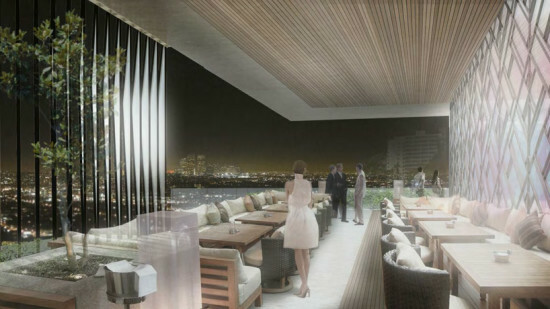 Besides the aforementioned amenities, the rooftop terrace will be the building’s main attraction, offering a luxury pool with a view over L.A.
Paltrow’s dream isn’t quite ready for construction yet, however, as the proposal still awaits permission for various aspects of design, notably the structure’s height.